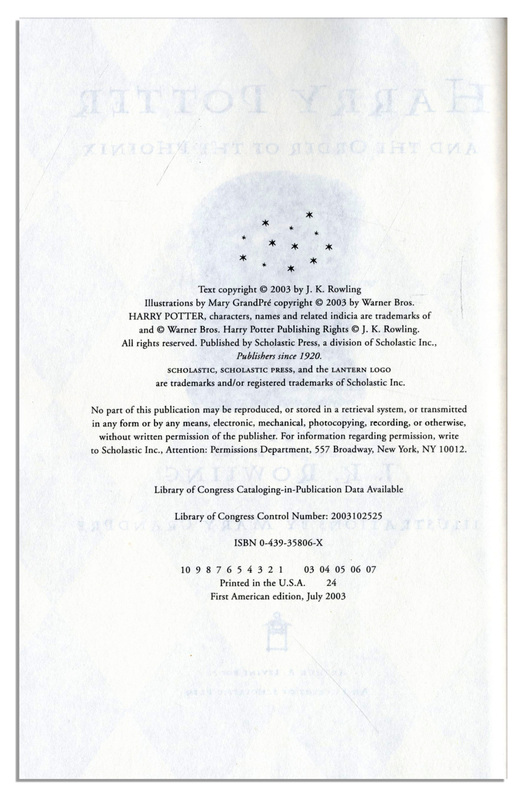 First American edition, first printing of J.K. Rowling's ''Harry Potter and the Order of the Phoenix''. New York: Scholastic Press: 2003. 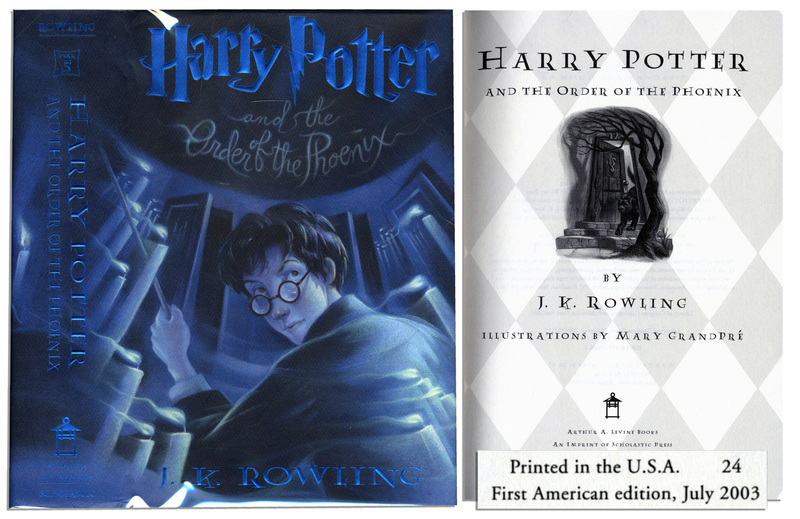 In this book, Harry Potter, in his fifth year at the Hogwarts School of Witchcraft and Wizardry, is faced with the unreliability of the government of the magical world and the impotence of the authorities at Hogwarts. 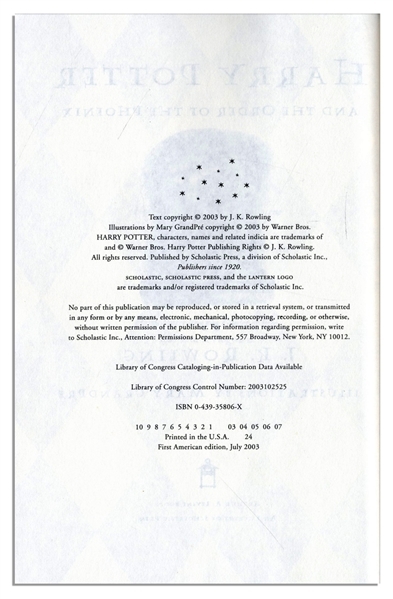 The stated first edition, measuring 6.25'' x 9.25'' with original unclipped dust jacket, runs 870pp. Near fine condition.